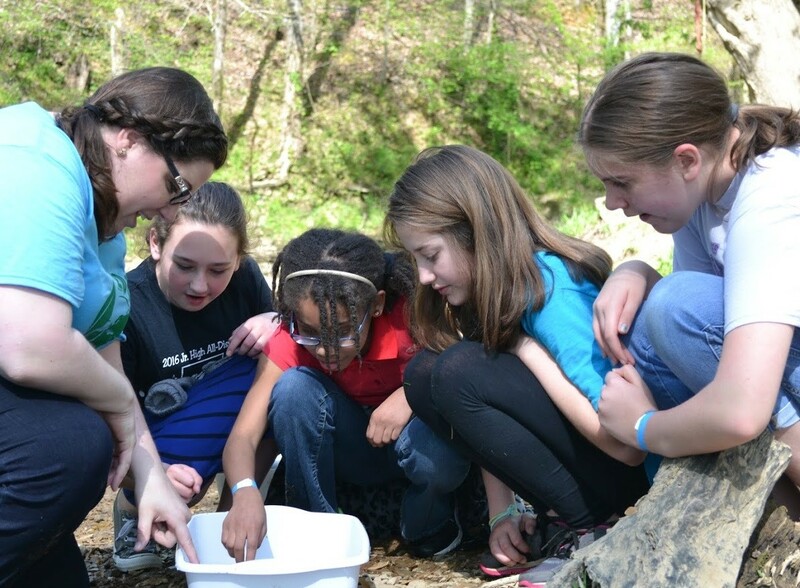 Ashford, is one of seven Kentucky Division of Water Basin Coordinators who go across the Commonwealth educating school-age children on water quality, pollution, and best management practices. During Water Week, the Energy and Environment Cabinet is highlighting one of the many functions of a basin coordinator. Aquatic bugs or macroinvertebrates are small animals that live on the bottom of streams, rivers, and lakes. They are large enough to be seen with the naked eye and have no backbone (invertebrate). Many aquatic bugs found in streams are their larval or immature form and may look very different from their adult form. Dragonflies, for example, lay their eggs in the water and after hatching can spend up to two years as a swimming, larval form called a nymph. Some aquatic bugs are extremely sensitive to their environments. For example, stoneflies and water pennies need water with high oxygen and clear, non-turbid waters to survive. If you find a creek with lots of these sensitive organisms, the stream is likely in pretty good shape. And while there are no “bad” bugs, there are some that are tougher than the others. Leaches and midges are able to tolerate polluted waters better than the pollution-sensitive species. When you have a polluted stream you are more likely to find these “tough” critters, and very few or none of the sensitive ones. And with the help of Ashford, these children experience the fun of splashing in the water, outfitted in rain boots and carrying long handled nets. Thus equipped, they perform kick samples, done by holding the net downstream while shuffling their feet on the creek bottom, disturbing rocks and sediment to dislodge any animals hiding there and sending them into their nets. The students then empty the nets into water-filled trays to identify their catches. They typically might find side swimmers called scuds, stoneflies and even small crayfish. The samples can reflect a fairly diverse array of aquatic organisms, which can reflect how ‘good’ or ‘bad’ the water may be in and what steps can be taken to improve it. Basin Coordinator Joanna Ashford and students investigate their catch. Photo courtesy of Warren County Stormwater Management. Adult dragonfly and a nymph stage dragonfly. Photo courtesy of Chad Von Gruenigen. KDOW Technical Assistant Alyson Jinks and students capturing macroinvertebrates in Drakes Creek. Photo courtesy of Warren County Stormwater Management. Learning about macroinvertebrates with Joanna Ashford. Photo courtesy of Warren County Stormwater Management.